Your mood cabinet – show and tell or hide and disguise. Audacious is a cabinet with personality designed as a place for displaying your favourite pieces. 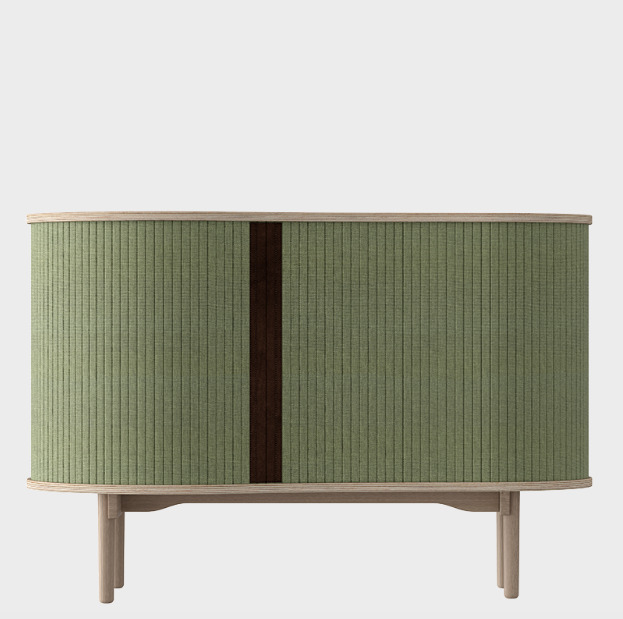 Its special tambour doors slide around the edge of the cabinet, letting you choose how much of the interior you want to put on show. Change the position of the sliding doors to create new displays and uses. H: 26 x W: 39 x D: 20 "